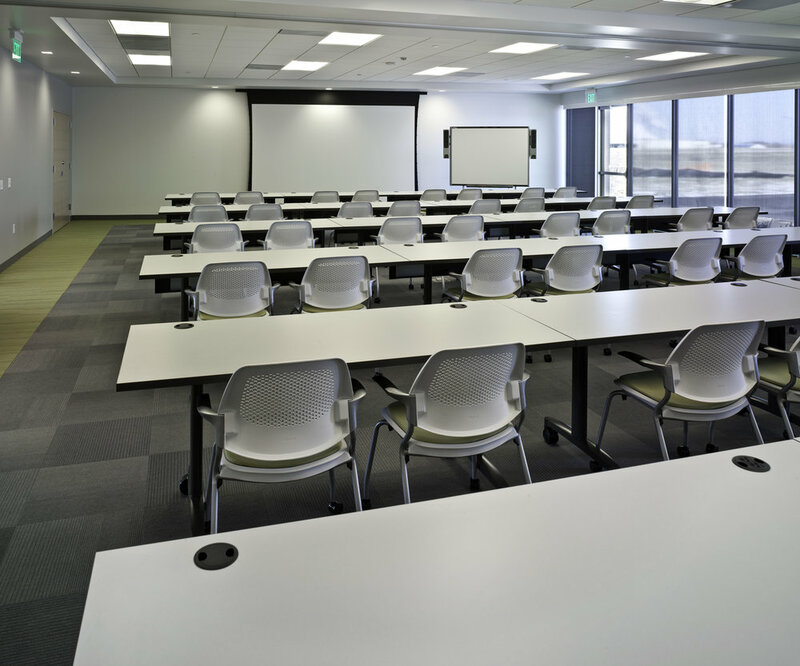 Whether your booking a one-on-one meeting, hosting a training session, or reserving space for a conference, the Innovation Center has the space to accommodate you. All rooms include A/V capabilities and WiFi. Events, conferences, luncheons, training, and large meetings. Events, conferences, presentations, workshops, lunch-n-learns, training, and large meetings. Events, presentations, brainstorms, training, interviews, and small-medium sized meetings. Events, presentations, brainstorms, interviews, and small meetings. Daily rate based on standard business hours (8:00am – 5:00pm). Additional charges may be incurred for room reservations before and after normal business hours. Before requesting a room, please read over our IC Reservation Rules and Regulations.